Find a perfect and meaningful gift from our collection of intricately crafted jade necklaces and Asian-inspired jewelry! Whether you are looking for your own lovely keepsake or an excellent present for a friend, all the jewelry and pendants that you find here at Mrs. Lin�s Kitchen will serve as wonderful gifts at unbeatable prices! Jade is a very prized stone within Asian culture and is often used as a symbol of protection, longevity, luck, and health. 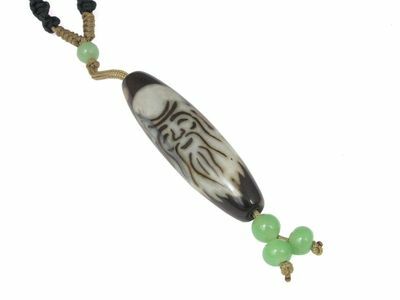 A token of joy, longevity, and good fortune, the simple Burmese Jade Pendant Necklace is a surefire way to wish someone luck in their future endeavors. Additionally, many traditional Chinese characters hold great significance, as shown through the Pewter Chinese Happiness Character Pendant, which makes for a beautiful, sophisticated good luck charm that you can wear! Our jewelry clearance section provides a great variety of high-quality necklaces so that you can offer well-wishes through a charming wearable gift!